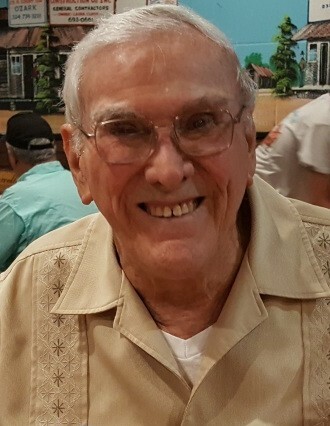 Donald Edward Evans age 95 of Marianna passed away Wednesday August 15, 2018 in Marianna, Florida. He was born on July 8, 1923 in North Hampton, Massachusetts to the late Robert John Evans and Gertrude Oefinger Evans. Donald was a combat documentary photographer for the United States Navy and the United States Airforce. After serving his country in WWII, Korean War, and Vietnam War, Donald retired with twenty-five years of service as a Staff Sergeant. He was a member of Eastside Assembly of God in Marianna, FL. Donald was preceded in death by his parents, one brother, and one sister. He is survived by his wife Ouida Evans; children, Deborah Evans, Linda Corrigan, Karen (James) Watkins, Bobby (Lisa) Drummond, Rhonda (Craig) Scalf, DeeDee Lipford, and a host of grandchildren and great grandchildren.